What is the Parish House Model? 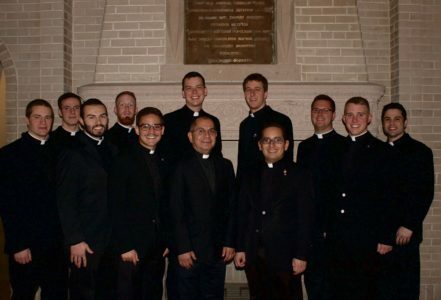 As the men of St. Joseph’s House move into the rectory on 6th Ave, you can be led to wonder, “Why don’t all of the seminarians live at St. John Vianney Seminary?” Let us answer this mystery for you! To begin, St. John Vianney seminary was founded in 1999 with the intent of using the “Parish House Model” of seminary formation. 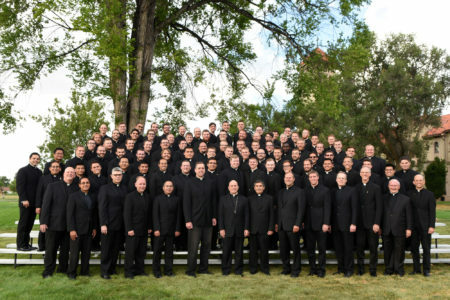 This type of formation is slightly different from the traditional seminary model instituted after the Council of Trent in the 16th Century. 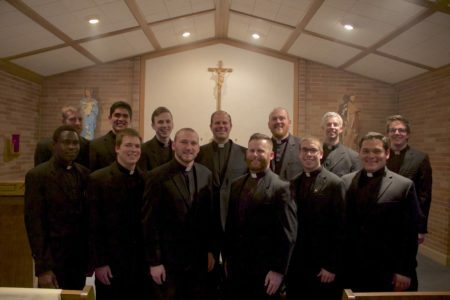 Rather than living, praying and studying solely on campus, the parish model seeks to establish small communities of men who live together and are formed by a particular priest-formator. As a result, this system allows men to grow in friendship and communion on an intimate level with each other and a particular priest. At a larger seminary, there can be a temptation to get lost in the crowd of fellow students. With this model, the men of each house pray, eat and clean together on a daily basis. This ability to live in community expands the men’s ability to grow in love and patience. they live at. These activities can include teaching, catechesis, and liturgical preparation. 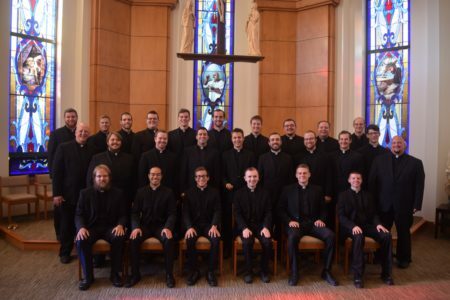 While intimate bonds are formed within each SJV parish house, the seminary still keeps a united identity because Daily Mass, studies and lunch are all conducted on the campus of St. John Vianney. Peppered throughout the year are also community events such as ordinations, Coffee House, reception of ministries, Mardi Gras party, solemnities and lectures, just to name a few. 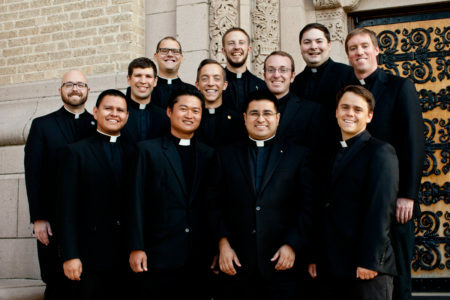 To put it simply, the parish house model system allows men to form a brotherhood in a deeper way and it keeps men connected to the souls they will serve in the parish. Our seminary currently has 3 parish houses of men at various rectories: St. Joseph’s, Christ the King, Our Lady of Lourdes’, and 2 “seminary houses” on the second and third floor of SJV: Sacred Heart of Jesus and Immaculate Heart of Mary. 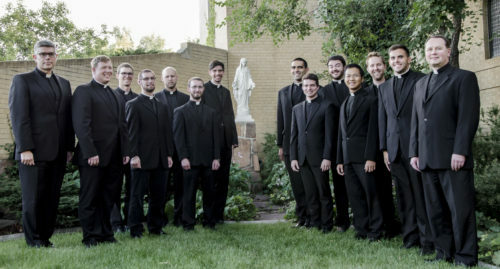 The Spirituality Year House is also located at the seminary and is a house of prayer geared toward those in their first year of seminary at St. John Vianney Theological Seminary.